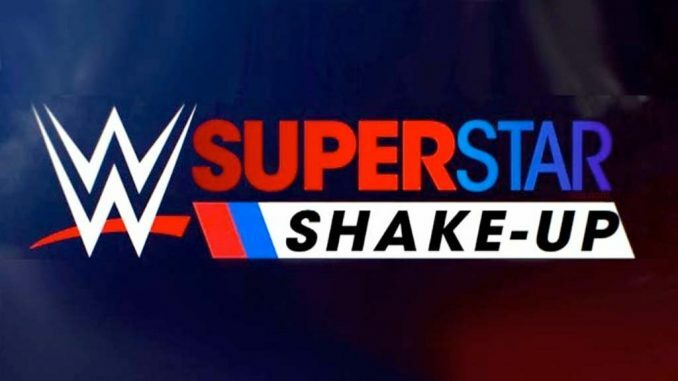 A full list of the talent moving to SmackDown after Tuesday's episode and the second straight night at the Bell Centre in Montreal for the Superstar Shakeup. The Superstar Shakeup continued Tuesday with WWE’s second straight night at the Bell Centre in Montreal, Quebec. *Finn Balor was the first name revealed as he came out at the conclusion of the opening segment with the Intercontinental title. Balor had a non-title match against Ali and defeated him with the coup de grace. *Lars Sullivan appeared on the show and despite being announced for Raw, they announced later in the program that Sullivan is now on SmackDown. On Tuesday, he laid out R-Truth with the Freak Accident and running powerbomb. *Becky Lynch was out cutting a promo and was interrupted by Ember Moon and later Bayley, who are both switching over to SmackDown. Bayley noted she is now a singles competitor. In the same segment, Paige introduced her new team of Asuka and the debuting Kairi Sane. *Buddy Murphy had a pre-taped promo announcing he was coming to SmackDown Live. The promo was hardly an endorsement of 205 Live, stating that the audience probably doesn’t know him “but you will” and called himself “the best-kept secret”. *In the final segment, Vince McMahon came out to introduce the “biggest acquisition in SmackDown history” and brought out Elias. Elias insulted the Montreal audience, went to play a song and was interrupted by Roman Reigns, who hit both Elias and McMahon with a superman punch. He ended the show with a spear to Elias. *After the show, they announced that Chad Gable, Mickie James, Apollo Crews, Liv Morgan, and Heavy Machinery will be on SmackDown.